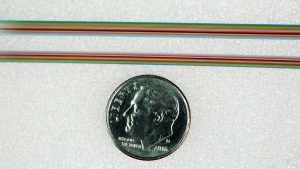 Ribbon fiber cables have been around since the 1980s. They tended to be seen as special products for telco carriers. 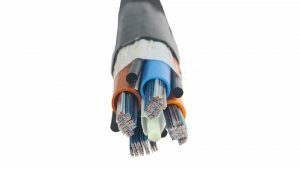 The demand for more bandwidth and limited duct space has created unprecedented demand for the use of ribbon fiber technology. A larger number of cables can be inserted into existing ducts. More cables fit onto a bobbin. 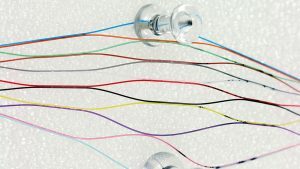 Four, six or twelve fibers can be spliced at the same time. And that speeds up work. A two-person splicing team can mass fusion splice an 864 fiber ribbon cable in four hours. Fiber reserves and splices require less space in the splice tray. For example, the R&M ST-08 splice tray will accept 32 x 12 fiber ribbon splices (384 fiber splices) or 48 single fiber splices (factor 8). 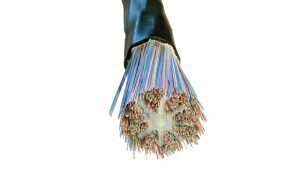 Rollable ribbon technology allows the fiber cables to be densely packed. The splicing of modern flat ribbons is still often problematic. R&M recommends using the same size throughout – either 250 μm or 200 μm fibers. This simplifies splicing device handling.